Modern Band is a school based music program that utilizes popular music as its central canon. 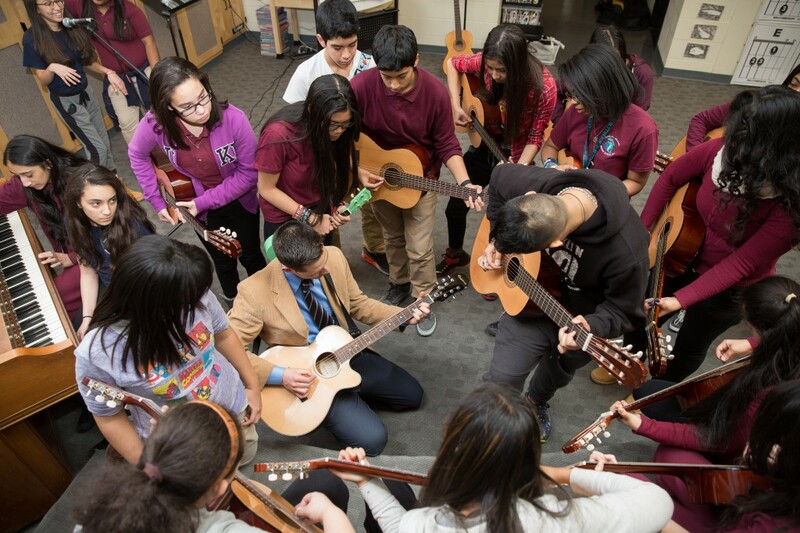 Millions of children currently attend schools in districts that offer Modern Band classes as a part of their standard in-school music programming. Modern Band teaches students to perform the music they know and love and to compose and improvise. Styles that are studied include rock, pop, reggae, hip-hop, rhythm & blues, electronic dance music, and other contemporary styles as they emerge. Modern Band also utilizes (but is not limited to) the musical instruments that are common to these genres: guitar, bass, drums, piano, voice and technology.